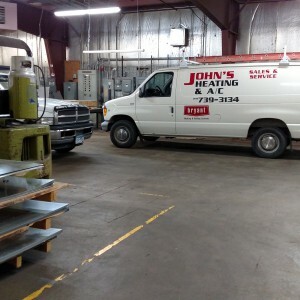 John’s Heating and Air Conditioning has been servicing the Fergus Falls, MN and surrounding area for the past 20 years, including; Battle Lake, Underwood, Erhard, MN communities. 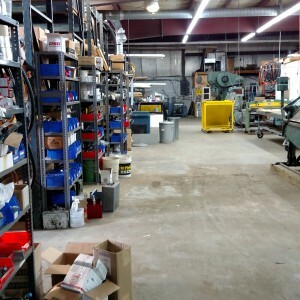 We have moved into an expanded facility, located at 1423 College Way (next to the Bowling Alley). We are a full service HVAC Company coming to you with NATE Certified Technicians. We use Bryant comfort control products. 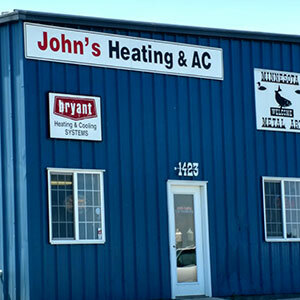 Bryant has an entire line of Heating, Air Conditioning, Indoor Air Quality, Ventilation and Comfort Control products. Bryant has take the first step in standby generators for your home or business. By having a totally automatic generator, you can have peace of mind to keep your home or business comfortable and habitable at all times. We have three full-time certified technicians, three full-time installers, office personnel and several part time employees. We have a Plasma Table in house. This allows us to use heavier gauge sheet metal for making fittings for commercial and industrial applications. We also have a fun side to the Plasma Table- we are making “Metal Art”. Servicing the Fergus Falls, MN and surrounding areas for the past 20 years with their heating and cooling expertise.